My name is Jetsan (Jet for short) it means "Buddha King". I really don't have a sad story, I suppose the only really sad story, is I lost my Mom when I was three days old. I had a fabulous family, rear me and my litter mates and I was the lucky one who stayed with this family. I was adored and very cared for. My family runs a daycare for human children. I am not a confident Lhasa, I am shy and reserved. Each day it got harder and harder for me to coup with the high level of activity. My family watched as I hid under tables, and tried to stay away from the running feet and hands. My family kept me safe, but I was so unhappy. They tried to put me away for the day, but that made me very unhappy also. I am a quiet reserved lil fellow, and I will take time to settle into a new home...so I hope you can give me a chance. I know, I am not looking my cutest, but I had to be all shaved down, I was a mess. But I will be fuzzy and adorable in no time. I was owned by elderly people who were unable to care for me, and now I am safe in foster care, and not in some cold and damp shelter. I am very friendly and people orientated...I would love to become a member of your family. I love walks and carrides and I am SWEET SWEET SWEET. I love to play with toys and toss them in the air. I love other doggies, so if you have one, I will make a great playmate. The glamorous and dynamic Petunia has had an incredible “make over”. She is in great health now, has settled into family/foster life and is holding her own with the resident dogs. She is smart, active, affectionate, confident, and adorable and will make an incredible and entertaining addition to a Lhasa savvy family. She could be an only dog if someone is around to engage her. She would do fine in an all male dog home. There is nothing like a female Lhasa with strength of character, confidence, and style to brighten the home front. But like most female Lhasa, she wants to be top dog when she chooses. We rarely find that two female Lhasa make for a great pairing so this is not unusual, at all. Petunia is travel and car savvy. She knows how to use the dog door and is house trained. She is anxious to please and is ready to find a new forever home. Her foster mom can tell you more about this great girl. Martin may have a distinguished and dignified name but he’s not aloof by any means. He’s a friendly, happy go lucky, waggedy tail little dog. 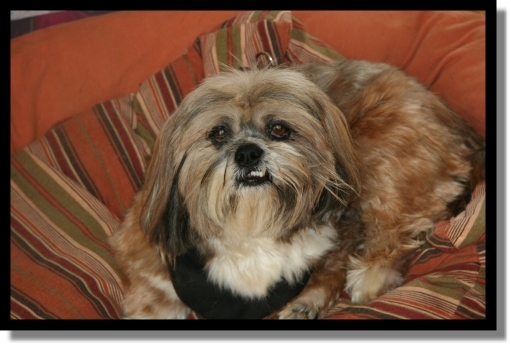 For a Lhasa, his only “Lhasa-tude” is that he longs to be near a human and follows his foster mom around faithfully. When she is away from the home he patiently awaits her return. Martin was found wandering as a stray. He had been adopted by someone who had him registered with his microchip but something happened and only Martin knows what that was. From wherever he hails, he’s been treated well and most assuredly loved by someone. He was a little grubby and ratty but some shampoo and scissors put him to rights again. He enjoyed his bath and the combing and attention. He is certainly very happy to be in a home again. He is sharing a home with his new foster mom and foster Lhasa sister and brother and everyone is getting along well. He just fit right in. Initially he was gated in the kitchen as his foster mom went on a dog rescue run immediately after taking him in. She wasn’t sure what to expect of him and wanted to make sure he got along with his fellow and sister Lhasa before leaving them together. Upon her return home she discovered that clever Martin had used the cat door in the dog gate as a stepping stone and jumped up and out. She found him chilling with the other dogs. So much for a slow introduction to the other dogs! If you are looking for a sweet, affectionate dog, don’t mind a clever one or one with a dignified name, Martin might just be your dog. 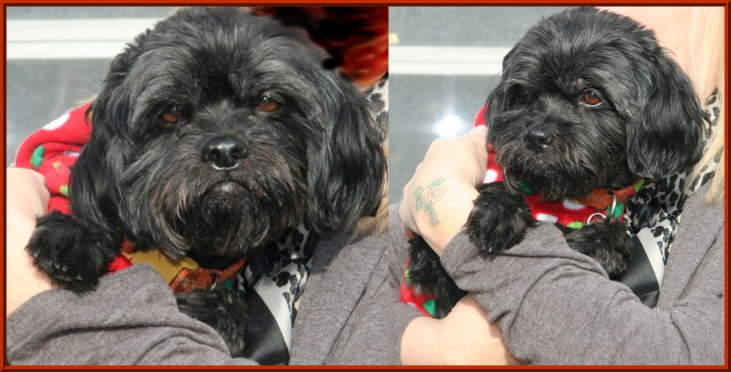 Sophie is a beautiful full black Lhasa who has always known love. She lived with a woman who is now in Stage 4 Ovarian cancer and cannot care for Sophie any longer. Fortunately for Sophie and her human mom, there are some wonderful and kind people, and two of these people stepped up to care for Sophie. Her human mom could have just a couple of months to live and it would bring her such peace if she could know that Sophie had been adopted in her forever home before she passes from this life. Sophie came into emergency foster care when the kind Samaritans could no longer keep her and the first thing she did was seek out the company of the other Lhasa in the foster home. That put her right at ease. She is a little “antsy” still as she is trying to find her way in a very full house which is strange to her. Though Sophie does fine in a home where someone is always in and out and mostly home, where she does not have to be confined, we have learned recently that Sophie HAS to have a home where someone is present most of the day and can engage her. She spent a few days in a new foster home where she was great at night and during the weekend but spent the working hours of the day when the humans were absent trying to dig out, trying to get out of anything (gated room, crate), trying to get her human. We now realize that she has spent her whole life at home in someone’s care and having to adjust to someone being gone over 8 hours is just too stressful for her. Sophie is back in foster care in Kirkland where the alpha of the resident pack will help her during the short amounts of time that humans are gone. We have received some wonderful applications for Sophie but they are from people who are still working outside the home, and we now know that Sophie will not succeed in such an environment. She is pretty quiet here, a little whiny sometimes (showing her anxiety), but it calms right down once her foster mom addresses her. She is still a sweetheart but now we know she needs a little more attention than the average dog. Riley has been a bit of a mystery since arriving at Furbaby Rescue. Not a bad mystery....on the contrary. He's been one of the very rare, special personalities that rarely come along. But he has had us baffled a bit. And now we know he's a boy that fits the lyrics above to a "T". Not only that but we kind of think his eyes look a bit like Sammy Davis, Jr.'s eyes in his later years. Isn't that a bit ironic? Furbaby Rescue is often blessed with great donations from many gifted people and today an extra special gift from a special person shed some light on Riley's past and his needs for a new forever person. The foster mom will gladly share all details of what we now know with Riley's adopter, including the fact that there's a preferred name if an adopter would consider giving Riley the gift of a different special name. MOST IMPORTANT, well, one of the most important items about Riley is he's a typical male. He doesn't want anyone to try and change him. And again, that's the reason for the lyrics at the beginning of this story. We can't say it enough - Riley just wants to be himself and be accepted for what he is. He may surprise you with some changes along the way but you must love him for what he is right now and we truly doubt if that would disappoint you. ANOTHER MOST IMPORTANT item - Riley has some health issues, affordable health issues like eye drops and needing special hypoallergenic food. Those two items aren't as expensive as the vet bills for not properly caring for any dog. Please don't let that hold you back. Suggestions: While Riley has lived with other dogs in foster care, we know that lively, young bouncy dogs make Riley a bit unsettled. We also know now that Riley DESERVES to be an only dog and spoiled rotten but he can live in harmony with another mid-aged dog. He wants to be a dog that is needed by someone, perhaps to turn a mutual grief into joy. DO WE HAVE YOU REALLY WONDERING about this special boy? We'll gladly share more detail to anyone who inquires. There's just too much to share in one of these write ups. Please, don't be afraid to ask for more information. Better yet - arrange to meet Riley and see if you don't immediately fall in love and find out that there's not one thing you'd want to change about Riley except for perhaps his name. When Rollie first came to us he looked like the business end of a mop and was adorable. He scampered and frolicked like a bunny rabbit and only stopped playing long enough to take a nap. We have listed him as one year old but we think he might be a bit younger. 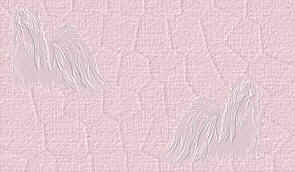 A simple breeze could mat his soft and fine hair, which is very common in a Lhasa puppy. When he first came to us he was shaggy and round and we started calling him Rolie Poly Olie which he loves because it’s silly just like he can be. Rollie can get any dog to play with him and he’s very popular with the other Lhasa and even some of the terriers in his foster home. He lives to play, go on walks, travel in the car, be everywhere and see everything. We have not noticed him marking in the house which is surprising. His foster mom keeps looking for it. She can’t say for certain that he’s potty trained but for a male lhasa he’s darned close and some scheduling will keep him on track. This is a really great dog. He’s rather petite for a male Lhasa and may fill out a bit as he gets older but will never be one of the huge old fashioned sized Lhasa boys. He’s very anxious to please and would love to be in some training classes. A scholarship for them comes with his adoption, by the way. We don’t tend to get in young Lhasa very often so this is a chance to have one for your very own. This is one happy guy so if you like your home a bit gloomy or quiet then Rollie is not the dog for you. Life is an adventure to him. Are you ready to join in the fun? We are sad to report that Murphy had developed persistent progressive pneumonia due to the presence of a tumor and his foster mom adopted him knowing that we would not likely be able to find a home for his end of days. He is loved and will be missed when his time comes. It turns out that once in a while we find ourselves with a Lhasa without “lhasitude”. You know what that is if you have ever had one. Once in a while we find ourselves with a very LARGE Lhasa, which Murphy indeed is. He is not overweight. He is just long and broad. He’s not a dog that the size has been poorly bred out of him . He’s the real deal from way back when. He rarely finishes a meal, always leaves some, and eats with polite manners. And very rarely, we find ourselves with a Lhasa that we would describe as a big lug. This one is a big loveable, cuddly, soft, lug. If you are a big walker and want a dog to be the same then Murphy is not for you. He enjoys a walk and can keep up, that’s for sure, and can manage a mile walk pretty easily. But he would really rather putter around the house and yard with you. He DOES love to travel and is the first dog to jump into the car. He needs a little help getting in and out, though has no problems with stairs as he takes them several times a day in his foster home and to get onto the bed at night. Not all humans like to walk and having a dog makes them feel they need to get out and join the marathoners and it kind of makes them feel guilty. That’s what we hear, at any rate. Having Murphy takes all the pressure off of you to put on exercise clothes and get out there to work up a cardio sweat. He would definitely be a great incentive for someone who needs some encouragement because as stated above, he does enjoy a walk. We aren’t sure how Murphy spent his days before coming to us. We know that he had a large crate with an added barrier so he couldn’t dig out. We know that he would try to chew up doors to get out of an enclosed area, though we have not once seen this kind of behavior. He obviously does not like to be crated and has only just now started using a crate as a place of comfort and retreat but he enters under his own steam. Murphy is wearing a belly band when he’s around the house because his potty training fell way behind and if you know Lhasa you have probably heard that the males can be difficult to train and need to be kept on a schedule. He doesn’t mark, he isn’t voiding because he thinks he can, it’s largely because he doesn’t know how to tell you that he needs to “go”. This is not unusual for us to see. He’s been a very sad big lug and it took the love of a little puppy to bring him out of his shell. He and Rollie have become very good friends and Rollie’s high level of confidence and energy have caught on to Murphy. It’s been a true joy to see Murphy evolve and experience joy and acceptance. His foster mom has never seen him act aggressively towards any dogs or the cats. What would a laid back big love of a dog want with a cat anyway? To be truthful, Murphy’s foster mom is not a big Lhasa fan. Pretty much everything she does not love about them she hasn’t seen in him. He is different, that’s for sure. He will bark a funny deep bark if he wants through a gate or door and occasionally at loud noises but for the most part he is a stealth dog. His calm and gentle demeanor have allowed us to really get to know him and see inside and what we see, we like…a LOT. He is at the perfect age for those wanting a calmer nicely mannered dog and don’t mind a large one! My name is Duke, and I'm a Lhasa Apso/Cocker Spaniel mix. Through no fault of my own, I’m looking for a new home. My person became sick and had to move out-of-state. Sadly, she couldn’t take me with her. I’m in a loving, happy foster home right now while I wait for my new forever family! As you can see from my pictures, I’m a cute little fella. I have soft, gentle eyes and big floppy paws and ears. I will need grooming on a regular basis. My coat gets tangled very easily but, good news, I don’t mind being brushed. I’m a great dog for an active household—full of energy and also a big, relaxed love. I love squeaky toys, and my favorite thing in life is to chase my squeaky ball. I’m good with people and enjoy meeting new friends. I haven’t had much experience with other dogs, but my foster mom has lots of dog friends so I’m learning how to politely meet and greet other dogs and hang out with them. I enjoy as much exercise as you can give. I like taking long walks in any weather. I need more than just a simple, quick walk. The perfect day for us would be to take long walks and go where I can run, run, run and chase the ball, then run, run run! Then go home to nap. Then we’d play some games. I would include a yard on my list of “must-haves”. Life is fun and I intend to enjoy it! I’m finding out how much fun learning manners can be. I love clicker training; I think it’s a great game. I’ll need to continue polishing my skills so my person needs to love training as much as I do. I’m a quick learner, especially when there are yummy treats involved. I’m still a bit nervous about riding in the car but my foster mom has done a great job of letting me slowly get used to it. I’ll need to practice some more but I know I can do it! Although I get along with other dogs, I feel that I really thrive being a “me-only” dog. Who wouldn’t want to be the center of attention? In return, you’ll be the center of mine! I’m willing to share my home with children 12 years or older. And something else, I really don’t want to be left home all day by myself; I’m not a 9-5 kind of guy. If you are looking for a dog that will be part of the family, you found him!